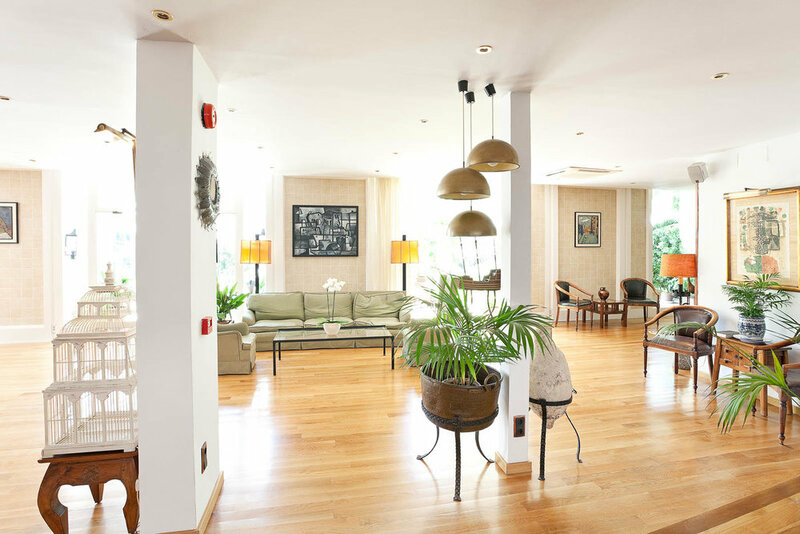 The Araxa is a small, quiet, 3 star hotel in Palma, which offers a highly personal & friendly service. Book discounted rates with Simply Mallorca Golf. The hotel Araxa is located in Son Armadams, a quiet residential area of Palma, which is only a few minutes' walk from the Paseo Marítimo, Palma’s harbourfront road. The hotel was created in a colonial style, with a family-friendly, cosy and casual atmosphere. This low-rise building has four floors with 72, spacious and well-lit rooms. All of the rooms are equipped with a telephone, TV, bathroom, Internet connection, fridge, air-conditioning, kettle with tea and coffee and safety deposit box (surcharge). Bed linen is changed every three days. Before heading off to play golf, you can start your day with an ample breakfast, which in warm weather can be eaten outside on the hotel’s terrace. During the summer evenings a barbeque is frequently held here too. The hotel has a lobby bar and an à la carte restaurant which offers regional, Spanish and international dishes, as well as a selection of hot and cold snacks throughout the day. The outdoor swimming pool is surrounded by a terrace and gardens, whilst other facilities include a 24-hour reception service, a small gym, a Jacuzzi and sauna. Pilates, Zumba and active stretching classes can also be pre-booked. 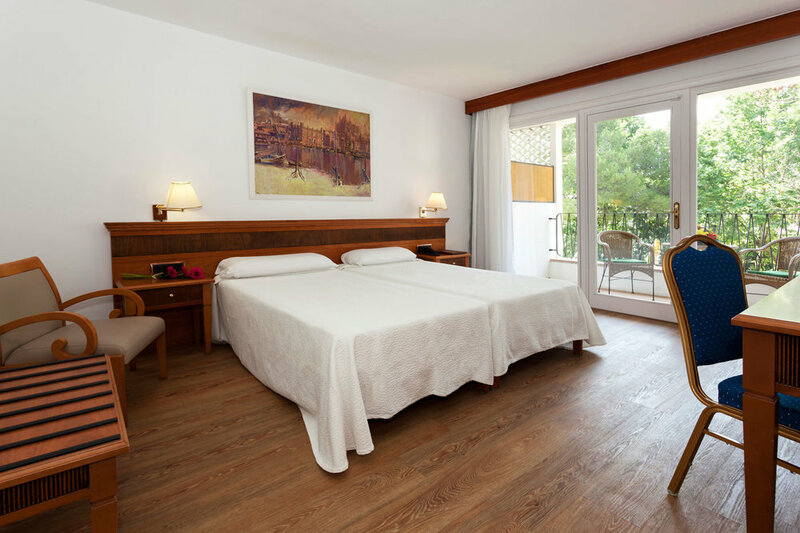 If you're looking for a small, quiet 3 star hotel in Palma, that offers a personal and friendly service similar to that of a family owned and managed hotel, then this is the place for you. The Paseo Marítimo is only a 5 minute walk away, and you can easily be in the centre of the old part of town within another 15 minutes - or even less if you take a taxi. LImited street parking is available for those arriving by car. Whilst the hotel communal areas and rooms would benefit from refurbishment, it does retain a certain 'old-world' charm, whilst offering very reasonable value for money for its 3 star rating.